A landfill expansion spurs conflict in Frayser. A local company wants to expand a landfill near a Frayser elementary school, but some there think it would send the wrong message. 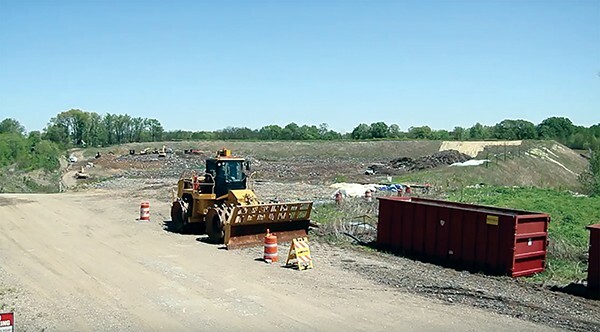 The demolition group, Memphis Wrecking Co. (MWC), last week formally filed for permission to expand its landfill for the third time in recent years. The company has owned a 24-acre landfill near the Northgate Shopping Center in Frayser for 10 years. It's purposed for the disposal of demolition and construction materials like trees, bricks, and asphalt used by the City of Memphis, Memphis Light, Gas and Water, and MWC. The expansion, first proposed in 2015 and again in 2016, would add 34 acres to the landfill and make it next-door neighbors with the students and teachers at Whitney Achievement Elementary School. According to the MWC website, its landfills don't allow municipal trash or garbage and are environmentally friendly, only managing non-hazardous materials that mostly don't emit odors or pollute the air and water. Company officials believe the expansion will improve the community, creating jobs and increasing tax revenue, while maintaining lower city disposal costs and saving taxpayers money as a result. 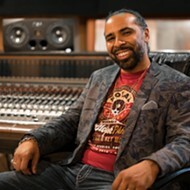 Additionally, officials said the company is dedicated to helping "develop and grow Frayser and Memphis by aiding in the goal to eliminate blight by providing a critically needed local resource" that will reduce the price of maintaining blighted spaces. 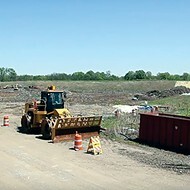 According the MWC website, the company will put measures in place such as forming a buffer of trees between the landfill and the elementary school, keeping company traffic away from Whitney Avenue near the school, and regularly assessing the operation's noise level to ensure that the expansion will not be disruptive to the Frayser community. Though the company's application specifies that the proposed development "will not unduly injure or damage the use, value, and enjoyment of surrounding property" nor hinder the development of surrounding properties, members of the Frayser community are not welcoming the expansion. Quincy Jones, manager of Neighborhood Preservation, Inc.'s efforts in Frayser, said the landfill proposed "in the heart" of the Frayser/MLK Neighborhood Initiative "clearly imposes an extreme and overbearing activity next to an elementary school." "This sends the wrong message to both students and their families as a whole," Jones said. 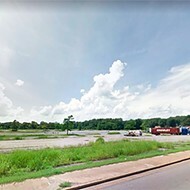 "The fact that this is Memphis Wrecking Company's third recent attempt at expanding this landfill underscores their level of insensitivity to the Frayser community. In fact, it is shameful that while so many local interest groups are pouring in positive resources into Frayser to improve its long-beleaguered image we have to fight against a landfill's expansion alongside of Whitney Elementary." As a requirement of the company's application to expand the landfill, MWC is to hold a community meeting with representatives from adjacent neighborhoods and receive their feedback. A meeting is planned for Tuesday, August 29th at Impact church on Clifton. 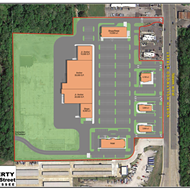 The company is set to present their application before the city's Land Use Control Board on September 14th, while public comments on the proposal will be accepted by the Office of Planning and Development through September 6th. Tags: The Fly-By, Neighborhood Preservation Inc, Memphis Wrecking Co.